UnitedPatientsGroup.com (formerly Doobons.com) is proud to announce the launch of Dixie X hemp-derived CBD wellness products, now available OTC in stores and online. Containing no THC and carrying no risk of overdose or psychoactive effect, Dixie X hemp tincture, salve, and capsules are packed with natural hemp-derived cannabidiol (CBD). A revolution in hemp-powered wellness began this week with the introduction of Dixie X cannabidiol (CBD) products from Dixie Elixirs & Edibles. These three non-psychoactive hemp-derived CBD products—a hemp tincture, a hemp salve, and a hemp capsule—provide powerful relief for pain and anxiety sufferers without the psychotropic effects associated with THC. Medical Cannabis Resource, UnitedPatientsGroup.com, which is leading the launch, believes the new CBD products from Dixie X are poised to disrupt modern pain-relief pharmacology. CBD offers patients seeking anti-inflammatory, anti-pain, anti-anxiety or anti-spasm effects without disconcerting euphoria or lethargy associated with THC, according to Project CBD. Scientific and clinical studies indicate that CBD might be effective for easing symptoms of a wide range of difficult-to-control conditions, including: rheumatoid arthritis, diabetes, alcoholism, PTSD, epilepsy, antibiotic-resistant infections, and neurological disorders. Each easy-to-consume capsule of groundbreaking Dixie X Scrips is packed with 25 mg of potent hemp-derived CBD, plus turmeric (Curcuma longa), white willow (Salix alba) bark, and a natural uptake agent. Antioxidant-rich turmeric helps the body fight infections and some cancers, reduces inflammation, and treats digestive problems. White willow bark is similar to aspirin in its abilities to reduce fevers, pain, and inflammation in conditions such as painful menstruation, arthritis, and neuralgia. A complete topical remedy made from a potent blend of CBD-infused cocoa butter combined with aromatic oils. Dixie X Botanicals Hemp CBD Pain Relief Salve delivers relief to sore muscles and joints. Discreet packaging makes Dixie X hemp salve perfect for spot pain relief on hands, knees, feet, neck and other body parts throughout the day. Taken sublingually, this highly concentrated hemp-infused CBD tincture delivers powerful detoxifying in just a few drops. Crafted by the leading scientific team of hemp extraction experts, Dixie X Dew Drops Hemp-infused CBD tinctures are made to provide relief for a variety of ailments, including anxiety, inflammation, nausea, and spasms. The Food and Drug Administration (FDA) considers hemp-based CBD “food based,” and therefore available OTC without a medical marijuana license. Amongst the many potential uses for CBD-based products that are currently under evaluation, CBDs are known to relieve convulsion, inflammation, anxiety, and nausea, according to Dixie X. Based on medical potential and the federally legal status of hemp-based CBD products, Dixie Elixirs & Edibles estimates the US market potential at over $5 billion. These three new CBD wellness products are the first of many that the company intends to bring to the market. CBD is thought to work synergistically with THC, bolstering its medical efficacy while countering some of the side effects of THC, like the onset of paranoia, intoxication, quick heartbeat (tachycardia), short-term memory loss, and lethargy. Dixie X products are not intended to diagnose, treat, cure, or prevent any disease. Statements made in this news release have not been evaluated by the Food and Drug Administration (FDA). Medical Marijuana Inc. (Dixie Elixirs and Edible’s parent company) has selected UnitedPatientsGroup.com (formerly Doobons.com) for professional online marketing services. To learn more about Dixie X products or to place an order visit http://www.UnitedPatientsGroup.com/medicalmarijuanainc or http://www.dixiex.com/. The best way to stay informed about developments on United Patients Group is to 'like us' on Facebook and 'follow us' on Twitter. UnitedPatientsGroup.com is an online medical cannabis resource for prospective and current patients, caregivers, and medicinal cannabis industry professionals. The medical cannabis resource site is designed be a comprehensive source of information for everyone from novice medical cannabis users to experienced industry professionals. UnitedPatientsGroup.com is discreet, safe, and professional. 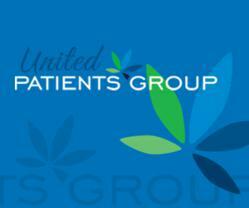 UnitedPatientsGroup.com is more than just another online medical marijuana directory. The site’s News, Resources, and Blog pages provide valuable information and advice for patients and caregivers. The information posted helps new patients learn the ins and outs of the world of medical marijuana, and helps existing patients stay abreast of new developments. The five-star-rated medical marijuana app is now available for free on the iTunes app store for iPhone 3GS, iPhone 4, iPhone 4S, iPod touch (3rd generation), iPod touch (4th generation) and iPad that runs on iOS 4.3 or later.